On a river reading [Js][4s][As][6c][5d], David Stamm moves all in against Ron Fetsch who eventually makes the call. 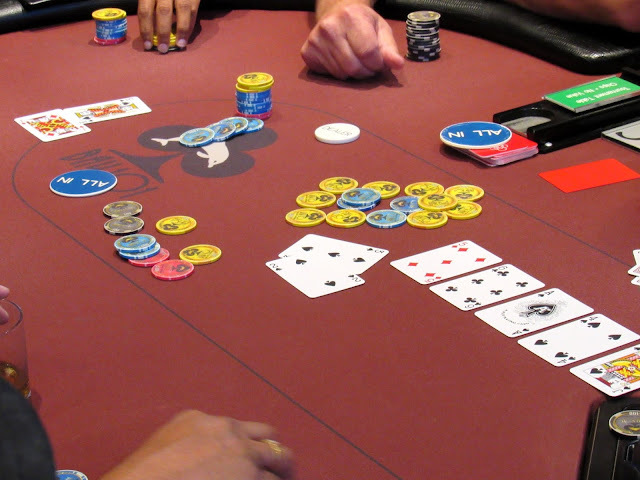 David tables [Ks][Jd] for a pair of jacks (and a missed flush draw) but Ron has [3s][2s] for the flopped flush (and missed straight flush draw). Ron increases his stack to 50,200 while David reaches into his pocket to purchase the addon for 20,000 chips.